What’s Most Challenging at Work? Note: The 2012 Workplace Issues Report is online here. Here’s a “teaser” of some results. Interestingly despite current economic pressure, thus far this year the vast majority of responses still focus on the “people side” — for example, based on rough calculations from responses to date…. And by about a 20% margin, “mentoring” is perceived as the most effective way for people to develop the needed capacity to deal with all these issues! What are the top issues you’re facing at work? Are they “technical,” “people,” or something else? Do feelings matter? Please share your views on the survey — and invite colleagues to do the same! Having worked in engineering organizations for my entire career, I agree with a piece of wisdom that someone I respect a lot told me: “At its root, every technical problem or challenge is really a people issue.” In particular, if an organization is trying to implement a major (or even minor) technological change, the issues that will arise will almost all be cultural, emotional, and interpersonal at their base, not technology issues – eg, how will this change affect me personally, my role in the organization, my feelings of competency, etc. I have worked for a wide range of organisations within the UK over a 30 year period; these have included local government, voluntary and private sector. 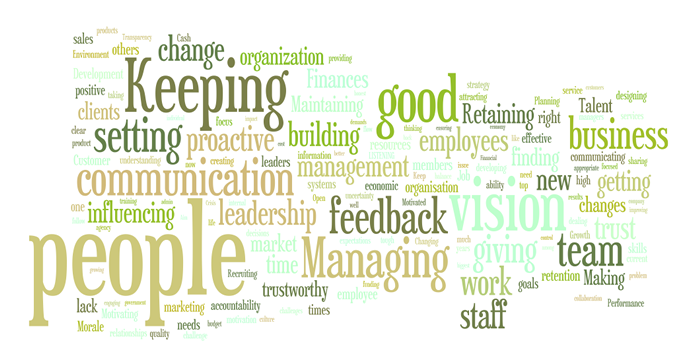 I totally concur with the outcomes of this survey – people and how they ‘operate’ is the key factor in an organisation. Respect and active listening for me are essential – if people do not feel valued and listened to they become demotivated and less productive. I am starting to do some interesting work around Appreciative Inquiry – this focuses on positive past experiences and how these can be developed and ‘built’ upon.